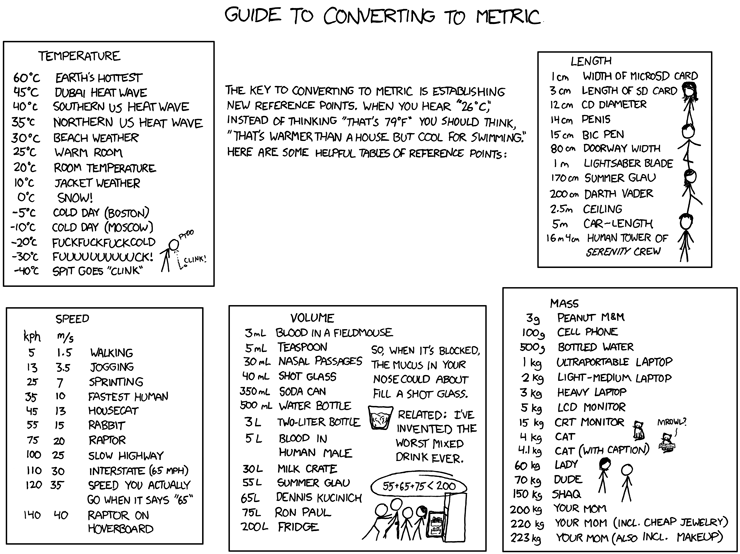 xkcd – A Webcomic – Converting to Metric. Heh, I don’t really understand the Summer Glau references. Sure, she’s in The Unit, but apart from that, she’s fairly average. Oh, and you Americans and Brits? Metric, please.